(Variety) In “Creed II,” Michael B. Jordan, all hardened fury and wounded tenderness, reprises the role of Adonis Creed, the ardent bruiser who’s got boxing in his blood as much as his father, Apollo Creed, ever did. 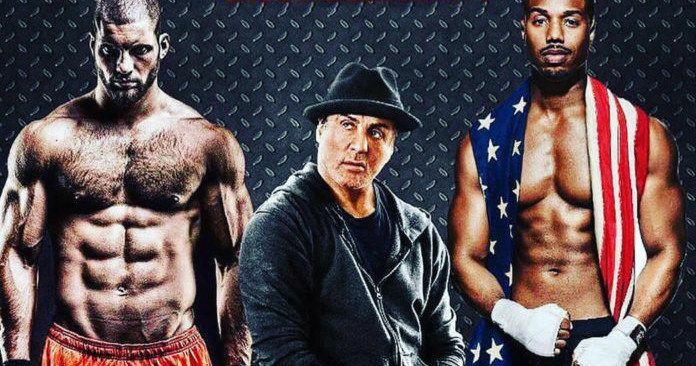 The movie is a sequel to “Creed,” Ryan Coogler’s astonishingly vibrant and soulful 2015 spinoff/reboot. But you could also call it the eighth “Rocky” film. And maybe because Coogler opted out of this one (he serves as an executive producer, but it was directed by the relative newcomer Steven Caple Jr.), and the script was co-written by Sylvester Stallone (with Juel Taylor), “Creed II,” far more than the first film, feels like it’s drawing heavily on a 40-year-old franchise. 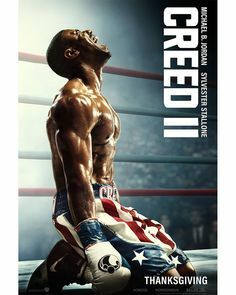 “Creed II” is really a movie about faith. It’s about how Adonis Creed loses his, wallows in the wilderness, then fights to get it back. Instead of training in a meat locker, he now gets taken by Rocky out to the desert to a place that looks like the Mad Max Gym. With: Michael B. Jordan, Sylvester Stallone, Tessa Thompson, Dolph Lundgren, Florian Munteanu, Phylicia Rashad, Brigitte Nielsen, Wood Harris, Russell Hornsby, Andre Ward, Milo Ventimiglia.